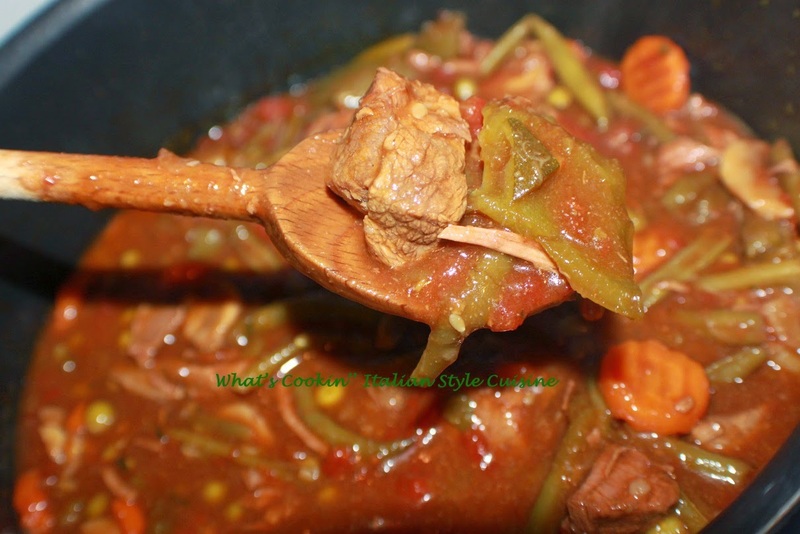 I really love stew and vegetables don't need to be in season to make it or even cold out! 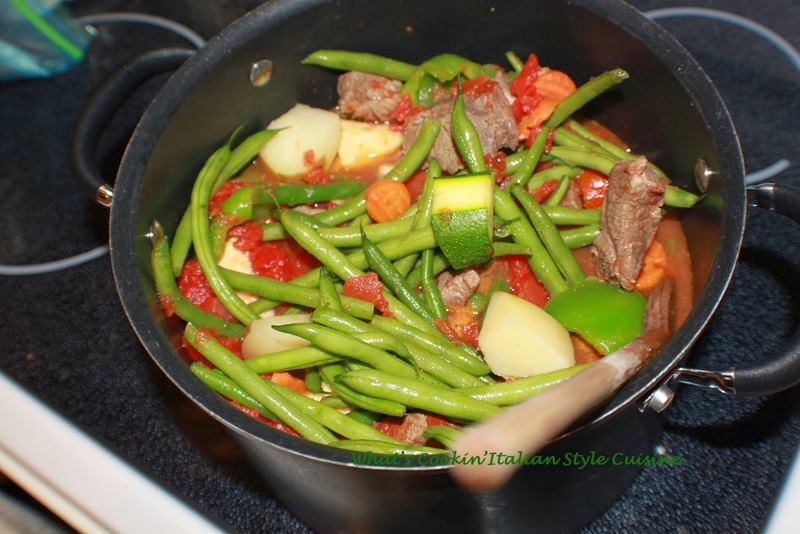 This string bean beef stew is great all year long! Even though my first preference would be to have all fresh , a great beef stew can be made all year round. Here is any easy recipe to follow to feed many people and believe me this will warm you up and keep you satisfied any time of the year! Mom used any kind of meat that was on sale, slow cooking this will make the least expensive meat tender and fall apart and this is great in the slow cooker too if you're not in a hurry! Plus leftovers if any are delicious! In a 5 quart saucepan add 3 tablespoons olive oil, saute meat until brown around 3 minutes on each side then add the garlic, peppers for 1 more minute. Add the rest of the vegetables, wine, tomatoes, tomato paste, salt, pepper, spices to taste. Add to all vegetables and meat just to cover with water. Simmer until meat falls apart on low around 2 hours. Serve with Italian crusty bread. When I was a kid, beef stew pretty much just contained meat, potatoes, onions, carrots, celery, and gravy but Bev likes your version with green beans and tomatoes which I have also learned to enjoy. Such terrific depth of flavor---sounds like an amazing stew!